If you live in, or find yourself in the Melbourne area of South Eastern Australia, be prepared to be offered some of the most cosmopolitan food in the country. Here are a election of stand out options. An hour and a half outside Melbourne is Birregurra and whilst your here, for a totally out there meal, head to Brae restaurant (George Biron’s Sunnybrae, now in the hands of Dan Hunter and simply called Brae) and you will release why you made the trip. 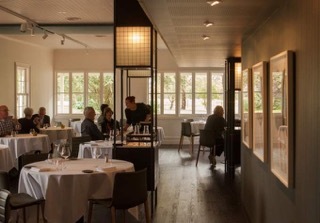 The service and menu at Brae are simply stunning, with the latter offering pallet challenges such as raw wallaby, beef tendon puffs and prawn heads, as well as the challenging pistachio and quince biscuits bound with pig’s blood. The menu is resplendent with locally sourced ingredients along with local and traditional dishes with the normal Dan Hunter twist. A must is the caramel crusted sourdough , cooked to perfection in the Alan Scott brick oven.